What happens when President-elect Donald Trump begins his administration? “[T]here is a path forward that could allow Trump to remain true to those who voted him into office while building upon President Obama’s approach,” Parthasarathy writes. Trump’s populist support could help him work on science and technology policies that benefit rural and working-class Americans, like lower drug prices and tackling the opioid epidemic. Parthasarathy's The Conversation piece was picked up by Business Insider and Government Technology. 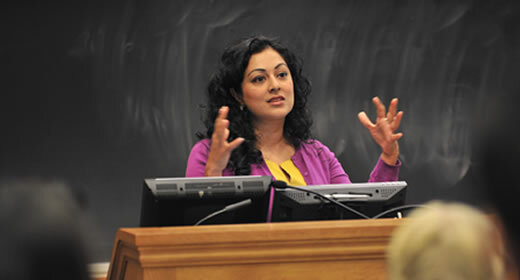 Shobita Parthasarathy is an associate professor of public policy at the Gerald R. Ford School of Public Policy. She does research on governance of transformative science and technology, both in the United States and abroad. Her forthcoming book, Patent Politics: Life Forms, Markets, and the Public Interest in the United States and Europe (University of Chicago Press, 2017), focuses on the politics of biotechnology patents over the past 40 years.